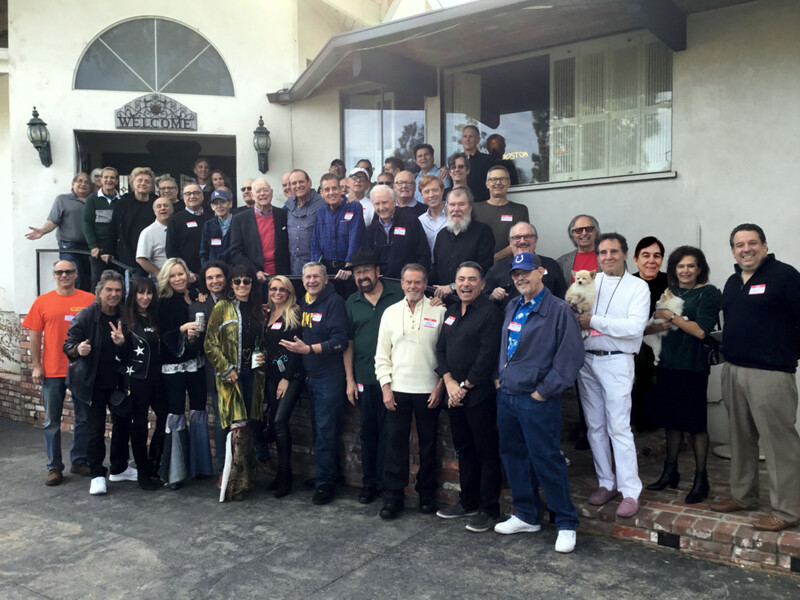 Bionic Buzz® got to cover Art Vuolo’s 10th Annual Radio Dream Lunch at Steve Resnik’s Rock and Roll mansion. The event featured many icons in the radio & record industry. Sadly this was the last one. Check out our interviews as we capture radio & music history in a time capsule. A must watch for anyone passionate about music. Our sizzle reel compilation video of Radio Dream Lunch 2018. Feel free to watch this one first and then individual interviews below. Our interview with radio DJ John Records Landecker. Our interview with radio newsman Bob Hardt. Our interview with radio DJ Colin Kennedy. Our interview with radio DJ & Game Show author David Schwartz. Our interview with radio engineer Al Salci, co-founder of Sierra Automated Systems. Our interview with Bob Catania who was head of radio promotion for major labels. Our interview with famous announcer & author Randy West. Our interview with legendary radio DJ Joel Denver. Our interview with record executive icon Ron Alexenburg who signed Michael Jackson to Epic Records and so much more! Our interview with DJ legend Pat St. John who you can listen to 60s on 6 on Sirius XM. Our interview with legendary radio DJs: Shotgun Tom Kelly & Duke Sholin. Our interview with legendary radio DJs Brad Fuhr. Our interview with legendary radio DJs Joey Reynolds. Our interview with legendary radio DJ Freddy Snakeskin. Our interview with legendary music promoter Dandy Don Whittemore. He promoted (and garnered gold records for) artists such as The Beatles, Elvis, David Bowie, Cat Stevens and John Denver. He is later joined by former president of Epic Records Ron Alexenburg as they both tell us the secret to getting a record played on the radio. Our interview with radio DJ & writer Matthew Worley. Our interview with legendary radio DJ & programmer Lou Simon from SiriusXM. Our interview with Chet Buchanan radio DJ from The Chet Buchanan Show from 98.5 Las Vegas hit music station. Our interview with legendary radio DJ & voice over artists Jeff Davis. Our interview with legendary radio DJ Bob Buchmann. Our interview with radio columnist Richard Wagoner. Our interview with Steve Resnik The 45 King!